The Environ Intensive range has been formulated to complement the step-up system of Environ’s vitamin A skin care programs i.e. the AVST, Original or Ionzyme ranges. Environ’s Alpha Hydroxy Gel is a gel containing a high concentration of Alpha Hydroxy Acids (AHAs) and is recommended for sun damaged, mature and congested skins. Environ’s Intensive Antioxidant Gel formula contains a high concentration of vitamins C and E, Beta-Carotene and Panthenol. This product was formulated for consumers who may experience sensitivity to the Environ vitamin A moisturisers or other topical vitamin A products. Environ’s Intensive Colostrum Gel contains bovine colostrum in a non-greasy formula. Colostrum Gel contains a mild lavender fragrance and a preservative. Contains antioxidants and vitamin A. Helps to hydrate and gives the skin a silky feel. 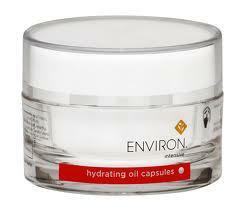 Environ’s Intensive Super Moisturiser is a special moisturising cream formulated to help relieve dry skin conditions. Assists in soothing and hydrating dry, sensitive skin. A unique hair and scalp tonic, which is non-oily, no- irritating and easily absorbed. Promotes healthy hair and provides nourishment for the scalp and hair root. Environ’s Intensive Retinol 1 contains a high concentration of vitamin A and bovine colostrum in a non-greasy formula. Environ’s Intensive Retinol 2 contains a high concentration of vitamin A and bovine colostrum. This is the second phase in this step up system. Environ’s Intensive Retinol 3 contains a high concentration of vitamin A and bovine colostrum. This is the third phase in this step up system.